The new event in Monster Hunter World is live, and if you want to get the Full Bloom’s featured armor set of Sakura from Street Fighter 5, now is the time to get it. PlayStation 4 players can start participating in the Empress in Full Bloom Challenge Quest right now. Completing the three-part Street Fighter 5 quest will give players a full Sakura armor set. To start the quest, players need to visit the gathering hall, look for Arena Lass, scroll down to the last page and select the Challenge Quest Empress in Full Bloom. The quests listed are identical and each will give players event ticket needed to craft the Sakura armor. Players can choose to select any or event all of the quest if they want to, the only difference is the loadout. Since these are challenges quests, the loadout will be determined with weapons for Sakura. Whether your character is female or male, it will enter the arena as Sakura. 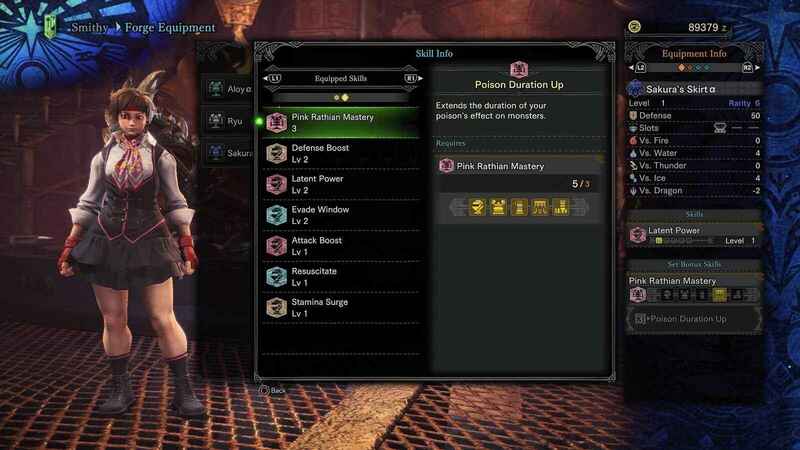 In order to join the challenge, characters must be at Hunter Rank 12 because their opponent will be a high-rank Pink Rathian. Unlike the normal gameplay, Pink Rathian in the arena will be tougher so expect a long fight. Rathian’s weakness is the neck, back, and its tail, however, unlike the green Rathian, the Pink Rathian is far stronger and faster. Both Rathian shares the same weaknesses and abilities. After successfully defeating the Pink Rathian, each player will receive a Street Fighter 5 Ticker #2. If you defeated at A-Rank, you will receive three tickets, two tickets for B-Rank and one ticket for C-Rank. If you already have all these items, proceed to the Smithy and scroll down to full armor sets. The Street Fighter 5 Sakura armor set will be available until May 17th, so you still have a lot of time to craft it. 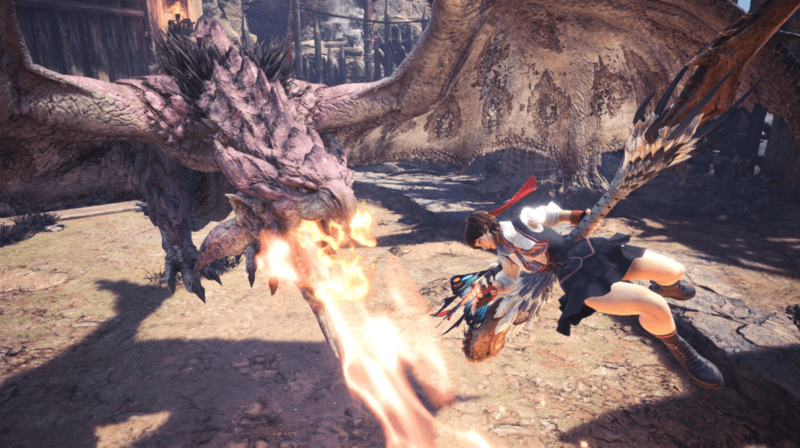 As scheduled, another Ryu armor set is coming to Monster Hunter World. It will be a high-rank set version compared to the previous set that was rolled out last February.